If you’ve noticed splashes of patterns or color decorating both men and women’s forearms and hands in one long fingerless mitten garment, you’re spotting a fun fashion trend that had its beginnings in winter sports arena long before ”Arm Warmers ”. The fashion world has taken this incredible notion and made these items into warm, and even funky articles of clothing. In this article, we will go over several different kinds of these trendy topics to help you choose which one is right for you. If you are a fan of the Starz Network and Diana Gabaldon’s historical novel Outlander Series, then you will recognize these idyllic arm warmers similar to those belonging to that of lead female protagonist, Clare Fraser. Made from 1005 Acrylic, your arms will stay warm against the cold elements, and a convenient thumbhole ensures the woven mitt stays in place. Measurements for Clare’s armband glove are 11 ½”l x 3’ w.; it’s beautiful mocha color will be a lovely addition to any wardrobe. There have been no reasons to complaint with this complimentary item to any wardrobe of this beautiful cable knit accessory. 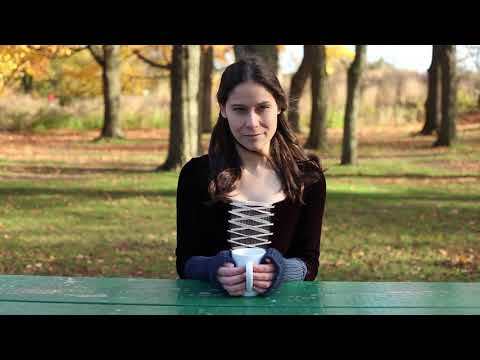 Likewise, fans of the books and show will want to mimic their favorite character and dress like the true Scottish highlanders, keeping warm in this soft and sensible article of clothing that has been fashionable for hundreds of years.If you want to make your wrist also warm & soft we suggest to try a high quality wrist warmers . Shield your hands and forearms from the wintery elements with these cozy arm protectors highlighted in the Starz program Outlander by star and female lead, Claire Fraser. You can choose to sport these arm warmers to remain snug in bitter and intolerant environments or you may simply desire to dress up your attire, either way, this product will be a grand addition for any wardrobe. AbbyShot arm warmers are made with a thumbhole and are 100% acrylic, and they are comfortably measured at 11 1/2-inches long by 3-inches wide. This beautiful article of clothing comes in 5 different colors for a reasonable cost or a three-pack special. Made from 100% superior wool, they will keep your hands and arms up to your elbows warm, soft and stylish. They are flexible and stretch enough to fit most sizes and make a great addition to any winter outfit. Even the ribbed design is both functional as well as fashionable, looking sharp while keeping the garment in place. Perhaps some might find the wool a bit constricting in a ribbed creation because the binding of it can be a different choice than some prefer for their hand and arm protectors. If you are looking for a ribbed extra layer of stylish warmth, NovaWo company offers 5 different colors of 100% wool warmth in their fingerless, elbow length arm protectors that come with a thumb hole. Novawo arm warmers fit snuggly over your arm, but the weave is stretchy enough to comfortably stretch over most women’s arms stylishly and comfortably. From the designers of some of the greatest Dancewear on the planet, KD Dance brings consumers a line of knit arm insulation protectors made for men but would look great on large and plus size women too since they come in 12 fabulous colors. They extend well past the elbow, include a thumb hole and are completely machine washable. Made right in New York City, you know you will stay warm with this fashionable, flexible extra layer of warmth and elemental protection. When you have been around as long as KD Dance and people from around the globe seek your superior products out, one can’t even balk at the low-end expensive price tag of a high-end quality piece of merchandise. It’s always worth paying a little more up front, then a lot more in the long run. If you only buy one pair, then splurge simply for the fact that the merchandise retains shape and color after each wash. Sported by trained dancers around the world, and top performers like Jennifer Lopez and Cher have been seen using KD dance in their performances. And when celebrities like Mikhail Baryshnikov give their seal of approval, one knows he/she is dealing with a quality product. With a name like KD Dance behind the product you know they are meant to last; this product will please consumers with their durability, flexibility and extreme warmth and fashion awareness. 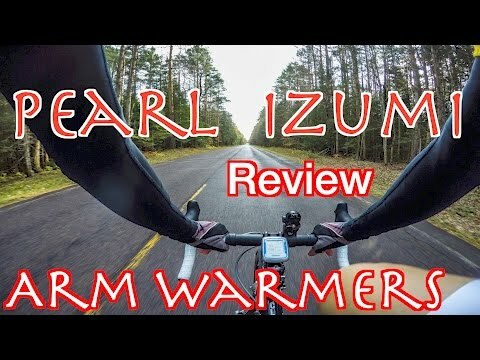 Pearl Izumi Pro Barrier arm warmers are created for extreme extra protection against the elements for athletes when outside facing the elements. They have been created to protect while allowing for full movement. They include windproof plates for adaptable warmth when the gusts of chilly air blows. Their 4 fabrics combine to provide a system that will allow you to keep the optimum temperature both as you and the weather conditions fluctuate. They also come with a lifetime warranty which is how long they are built to last. Read care label for washing. When ordering off-line and having something imported, one runs the risk of having sizing issues. Fortunately, the warranty fixes any such issues. If for some reason your merchandise doesn’t fit properly, do not participate in a sport without replacing the gear first. Besides being a general wind-breaker, the front wind-stopping panel on the front also turns out to be water resistant. Thus, the resilient shell material had an extra bonus for all the outdoor sports enthusiasts who don’t mind a litter water with your snow. For the outdoors person in winter, this athletic gear engineered by Pearl Izumi delivers as promised: comfort, warmth, and protection from the wintery elements. They use four technologies: thermal, transfer, softshell and barrier which work jointly keeping body temperature perfect throughout the day as weather conditions alter. They are warranted for any flaws in the workmanship and materials. This product has been designed especially for bicyclist enthusiasts and athletes. They come in four reflective colors which offer more visibility when light levels are low. They are made with HeatMaxx, which is a material designed to absorb moisture while maintaining heat levels. They comfortably stay in place with silicone bicep grippers that stretch through the use of four-way stretching fabric and flatlock stitching. This soft material makes for easy placement and removal of the product as well as keeping the body warm and protected. It comes in sizes XS- XXL. Cost for this product fluctuate greatly. Since Louis Garneau is specifically designed for cyclists, who in general have slender body frames, some of the merchandise was not quite adequate for men with extended arms so there may be some sizing issues if a consumer does not fall within the range of the companies provided sizing chart. The company considered the icy winds that can bite at a biker as he/she rides. They developed this product with weather temperatures dipping in the 30’s on the bike, in mind. They protecting mitts stayed in place, and they are so comfortable you might even buy some for someone on your Christmas list. If you are a cyclist and you can get this product at one of the reasonable cost, then based on the feedbacks, they are definitely worth it. The wick moisture absorbing, heat retaining fabric with reflective logos that comes in 4 fantastic, fun colors and extends up to your biceps are going to be a hit. Easy to put on and take off as needed, you may carry them with you even when you don’t have your bike. These plush, warm extra-long covers for your arms are a perfect blend of 80% real merino wool, and a combination of Nylon and Lycra making it 49% Coolmax EcoMade for extra warmth. The perfect fit always starting at a Securl band at the bicep flowing down to a lengthy wristband providing superior warmth. Perfectly manufactured in the USA; this product is machine washable in cold, and easily dried on a low tumble-dry setting. The Securl band at the bicep seems as though it might roll down, so one would always want to defer to the sizing chart. Since they are made in the USA, they should be true to size, and Merino Wool is some of the best form fitting material. You are going to love these comfortable and warm arm protectors; especially on rainy, cold wintery days. On these types of days, you will be glad you invested in the Merino wool where it now has the ability to prove its insulation properties. The DEFEET company is known globally for their cycling gear, however, this product is stylish enough to be worn on and off the bike. It is also favored by runners and athletes in mountainous and colder climates and chilly morning workouts. A bonus factor is that the seams do not run vertically so that the fit is more aerodynamic. The 80% merino wool keeps one’s arms dry and warm in the moistest conditions. This is a lightweight, purely fashion mitts for arms and hands. Cute blue and white stripes matched with polka dots at the cuffs which adorn a pocket at the back of the hand help show the consumer left from right while also providing an extra pocket and warm. Made from a weave of polyester and spandex, this imported item is super stretchy and soft with a finger and thumb holes for extra convenience. The elastic polka dot band at the top will encase your upper arm and stay in place wherever you place it along with your arm for a variety of stylish effects. Again, ordering imported can be tricky, sizing is always different than when ordering Made in the USA. To ensure the comfort you desire, refer to the size chart the company provides. A good rule of thumb is to always go one size larger than you would in American sizes. There is nothing not to love and adore about this stylish and warm attire. Anybody who loves blue and white combos together is going to love all the little extra touches that Saucony added like the pockets, hems, and quality of the product. IF you are looking for the perfect holiday gift for any woman on your holiday list, this product is a warm and stylish idea. Just make sure to possibly order one size up just to be sure. The special person or you will love the soft material as the stripes slenderize his/her arms and the polka dots add that splash of whimsy at the top and bottom of each to keep them snug and in place. This product is so amazing looking and cheap, I bought the two pair combo to test them for myself. In each order, you get two pairs of cable knit 1005 acrylic fingerless, short or long sleeved, stylish and soft, choice of colors warm arm mitts. Each pair is fingerless and starts out 19″ in width and around 2.75 “ when unstretched. They are purposely designed to stretch out the length of your arm to just above your elbow. They also come with a 100% customer satisfaction money back guarantee. Both pairs for a literal steal and the fabulous neutral colors will match anyone’s winter wardrobe. They seem to run large and seem like they might stretch out. However, I’m sure since they are machine washable they might retain their original shape if dried flat like many sweaters do, and for the cost, you can’t beat it. If you want to experiment with this trend and see if this is going to be the new you. This is the deal for you. You get two great looking pairs for one low price. Wear them to shreds and you still haven’t paid what some others cost for one pair. Treat yourself. Anything 100% Acrylic is going to be extra stretchy so for consumers who are slenderer these might seem to run large and a good washing might make them firmer. For the price and the guarantee, it might be worth the experimenting. The fact that the consumer gets two different colors in each order, and the cable knitting is designed for aesthetics and warmth is delivered is worth the investment. For the same cost as the Oryer, Flammi is offering a slightly shorter similar single pair, yet Flammi’s cable knit and 100% Acrylic comes in a few more fun colors. I love the wine red and the purple. The thumbhole and fingerless design as found in so many others are also found in this product for the same convenience, warmth, style, and comfort. Since they are imported, they might run alternative lengths on the consumer’s arms. It seems when it comes to woven wear, imported arm protectors are running small. First, check the manufacturer’s sizing chart, but if still unsure, order one size up as most imported items tend to run small. Even though these are very similar to a competitor’s company we felt them worth a mention simply to give you the same type of quality, for the same price points, but with some alternative colors for you to enjoy, which we know you will. If you are going to be wearing winter arm protectors on a daily basis, perhaps invest your money in something a little more expensive. However, if you want an inexpensive, good quality, and a new addition to your wardrobe that will keep your arms and hands warm when worn with certain outfits, this is the product for you. They are flexible and reliable enough to be considered as one would a new article of clothing. We had to include these in our collection of favorites because this article of merchandise is seriously sweet and sick. That means it’s very cool in “trendy” terms, and the lace-up satin slip on’s are simply designed to be that. Hot, hip and wickedly what’s hot especially in the punk or goth scene. Black from fingerless and thumbhole all the way up the arm and then adorned with your favorite colored lace up, you will be the Bellatrix Lestrange of the Ball with these beauties. One size does fit most as there is plenty of stretch movement, and so reasonably priced, there is no reason to deny yourself this little slice of 80’s heaven and show the kids how it’s really done. Because the product is designed to be a costume, handle with care; if you pull on the grommets too tightly, they will rip the material to which they are attached. Worn properly, you will be paying an outstanding price when purchasing the perfect punk, goth, 1920’s, 80’s, or Whatever reason you want to be on point, fingerless arm protectors. These terrific accessories are made with a superior quality satin, soft elasticity, silver-tone, sturdy, and durable grommets for the four choices of colors to adorn this corseted image displayed up your arm. Perfect for different themed events and easy to machine wash. Cost less so that everyone can join in the timeless festive fashion fun. My 72-year-old father remembers when fingerless gloves were popular during his day, so by no means are they a new idea, or a “true” hip, new trend. Like most things this millennium, the REALLY Cool pieces of merchandise that are in are just revamped and recycled versions of perhaps a greater era. And the fingerless, thumb-hole hand and arm mitts fall into such a category. However, they are not only part of our fashion history, but our athletic and outdoor necessity history. Used in everything from cycling to hiking to ballet, there really is a mitt for every person out there, you’ve just got to find the right fit. The right fit is important, but so is determining your purchasing purpose, the material used, and the price/warranty/and durability tied in together. The three different styles of hand and arm gloves that you may search will include ones for athletic use, ones for fashion and warmth from the elements, and ones solely for entertainment value. Depending on why you are buying the item will help determine the materials used to create the product, the durability and price/value of the merchandise. Someone buying a professional high-end athletic gear can always expect to pay more for sports gear than a simple yet pretty clothing accessory. Other things like materials and company reputation for quality can also raise the price in the fashion world. Perhaps the biggest frustration when ordering a product off-line is finally getting it and having it not fit or is the wrong size. This happens more frequently with merchandise that is imported than products made in the USA because many other countries use a different measuring system. Most times, I have seen measuring charts attached to order forms. I have found as a general rule, if I’m not sure, to order a size larger. You can always take an item in, you can’t let it out. At the least, check the chart first. Have you seen advertisements with the products widely ranging in different lengths? Are you confused about if you should wear them mid-forearm or past your elbow? There is no wrong answer. These are meant to be worn where they are comfortable. Just because the model has a 6 ft slender arm does not mean you do. Place the top band where it fits snugly and comfortably on your arm and rock that look! Sometimes, the more athletic geared designs are difficult to figure out. Even some crazy patterned fashion ones will help you figure out how to wear your new look properly by labeling them for you. This is especially important when wearing your sportswear properly. When it comes to athletic wear you will find a variety of gear that will deflect wind, water, and protect you from additional elements and should have some reflective material for when lighting may be limited. Your fashion and warmth wear will be any combination of wool, Acrylic, Lycra, and Spandex. All will be used in varying degrees to keep you warm. Merino wool is especially good for keeping you extra warm and dry as it naturally pulls moisture away from the skin and helps keep the body insulated. Costumes and other fashions can be made of all other kinds of materials because they are purely made for decoration only. The average price, although a little high, for a good quality, Wool blend, fashion, and functioning garment that will last you several winters is going to start in the mid $20’s and go up. When you can find a reasonable substitute in Acrylic, it doesn’t hurt to try them, just realize they aren’t wool. However, if you can find one that also comes with a warranty, then you have a real deal. Since the durability of these products are highly important as they are designed to protect ones outer extremities, this is a product where a warranty would be something I looked for. Certainly, it wouldn’t be a deal breaker on an extremely inexpensive pair, but if I was a professional athlete spending up to $100 for the protection of my arms, I’m making sure my investment is protected. This is such a fun object to shop for your friends, family, and self. The styles and colors are endless, but the collection and buyers guide we have gathered for you here will have you set in style for this winter season. Whether you are a professional athlete hoping to hit the slopes, or you want to sit in by the fireplace and be cozy, comfortable and cute with your gift to yourself, you will be set no matter which pair you choose. If you still have a question, suggest or an opinion, just use the form below and I will answer you ASAP!